At Agragami, we improve the quality of life of the rural and urban poor. Agragami India (‘Agragami’) is an autonomous, private, voluntary, non-profit organization formed in 2001 by a group of development professionals with a common vision- improving the lives of vulnerable families. 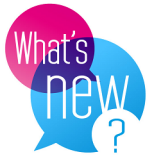 The organization focuses its work in Bihar and in urban Delhi and environs. Its registered office is in New Delhi. Agragami’s mission is to bring about sustainable change in the quality of life of the underprivileged through integrated inputs that will contribute to improved nutrition, sanitation and health, education, and livelihoods. Agragami’s work encompasses a mix of community-based interventions, capacity building, and technical support for programs. 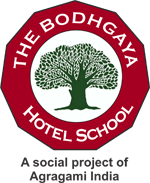 The Bodhgaya Hotel School invites applications for admission to its one-year diploma course in Hospitality. Last date for applications: 30 June 2019.